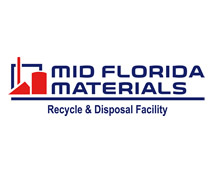 Conference Environmental Initiative Programs and Tours | Recycle Florida Today, Inc.
follow url Event summary: Take an opportunity to hear talks on sustainable programs as well as attend an environmental tour from where you play to where you stay. homework online midlothian isd You must be a conference attendee or guest of a registered attendee to participate. * get link Pre-Registration required. Click here to register. best times to take viagra Everglades Wonder Gardens: Discover a 3 ½-acre botanical jungle filled with native trees and plants as well as species from all around the world. Visit with our rescued birds and reptiles that have found their forever home with us, each having a unique, personal story. Come and Experience the Wonder! – * $10.00 per person. http://butlerradio.com/custom-law-essays/ *Transportation to all off site tours are on your own or via attendee carpool, unless noted otherwise. Directions and additional information will be provided prior to the event and at the conference for those participating.